University of Michigan classicist Francis Willey Kelsey (left) Secretary of the Archaeological Institute of America and after 1907 its President, played an important coordinating role in the lengthy campaign to pass antiquities legislation. 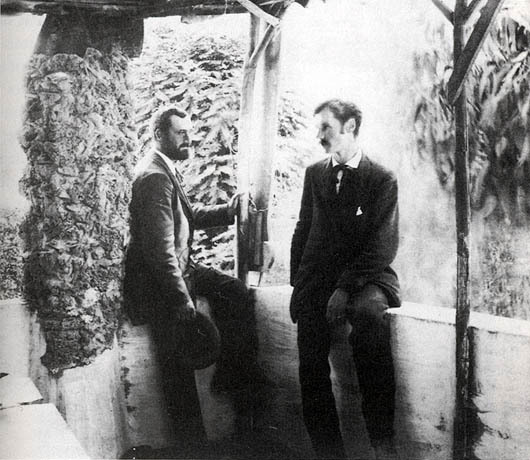 He is shown here on the balcony of a hotel in Pompeii, Italy, in 1892 with an artist (Lugue, right) who painted recreations of ancient Pompeiian interiors. Kelsey was visiting August Mau, whose Pompeji in Kunst und Leben he translated into English (Mau 1899).